At the CLIMMAR congress, a new project group dedicated to the garden machinery branch premiered. Another premiere, a world premiere even, was the launch of the CLIMMAR branch index. The new garden machinery branch project group will focus on creating branch reports that reflect the economic situation and trends for garden machinery dealer’s business and market. 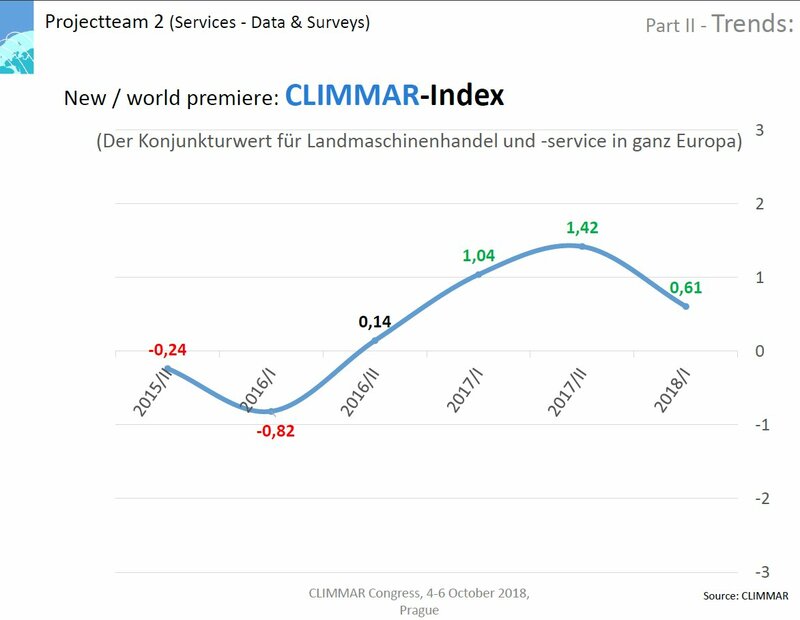 The CLIMMAR branch index is derived from the half year branch reports surveys and shows the business cycle for European ag machinery dealers. The index might be new, because CLIMMAR has a vast database with historical branch reports data, the business cycle dates years back and trends can be determined.